To cluster diverse land uses in accessible neighborhood and regional centers to encourage daily walking, biking, and transit use, reduce vehicle distance traveled and automobile dependence, and support car-free living. 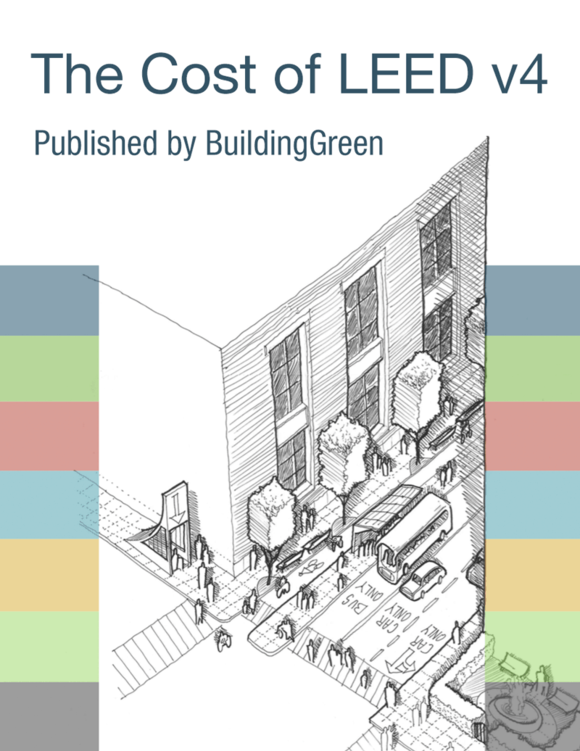 Locate or design the project such that 50% of its dwelling units are within a 1/4-mile (400-meter) walking distance of the number of uses (see Appendix 1) listed in Table 1. For projects with no dwelling units, 50% of dwelling units within a 1/4-mile (400-meter) walking distance of the project boundary must be within a 1/4-mile (400-meter) walking distance of the number of uses within the project specified in Table 1. The specified number of uses must be in place by the time of 50% occupancy of total building floor area (exclusive of portions of parking structures devoted to parking). A use may be counted as only one use type (e.g., a retail store may be counted only once even if it sells products in several categories). No more than two uses in each use type may be counted (e.g., if five restaurants are within the required distance, only two may be counted). The uses accessible to each counted dwelling unit must represent at least two categories. Additionally, a project that has at least one large retail use (defined as a use totaling 75,000 or more square feet [7000 or more square meters]), must also meet at least the 2-point threshold for transit service under SLL Credit Access to Quality Transit. In this case, planned transit service can be counted. Each large retail use must be served by at least one transit stop providing trips that qualify under that SLL Credit. The relevant transit agency has a signed full-funding grant agreement with the Federal Transit Administration (or equivalent national agency for projects outside of the U.S.) that includes a revenue operations date for the start of transit service. The revenue operations date must be no later than the day by which 50% of the project’s total building floor area will be occupied. For bus, streetcar, bus rapid transit, or ferry service, the transit agency must certify that it has an approved budget that includes specifically allocated funds sufficient to provide the planned service at the levels listed above and that service at these levels will begin no later than the day by which 50% of the project’s total building floor area will be occupied. A state legislature or local subdivision of the state (or local government for projects outside the U.S.) has authorized the transit agency to expend funds to establish rail transit service that will begin no later than the date by which 50% of the project’s total building floor area will be occupied. A local government has dedicated funding or reimbursement commitments from future tax revenue for the development of stations, platforms, or other rail transit infrastructure that will serve the project no later than the date by which 50% of the project’s total building floor area will be occupied.